We care for cats and their families. 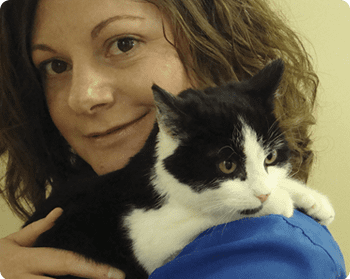 Our compassionate, knowledgeable team is dedicated to your cat’s health and well-being. allows us to provide the special care and handling, exceptional medicine, and lower-stress environment that your feline companion deserves. Because our passionate and highly skilled team works solely with cats, they are experts in feline medicine, care, and behavior. Safe and friendly feline handling techniques are always used to make the veterinary visit as pleasant as possible. help your cat have the most comfortable, stress-free veterinary visit possible. From the waiting area to the recovery ward, our primary focus is your cat’s safety, comfort, and perspective. 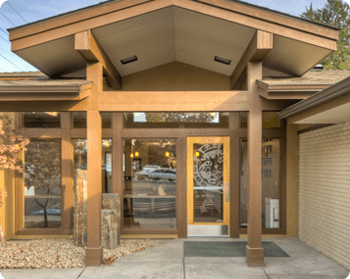 Take a photo tour of the clinic and learn about some of our special feline-friendly features, or stop by anytime for a personal tour. …we have chosen to be a paper-light practice. We have digital medical records, and use an electronic fax service. We will continually be looking for ways to be responsible while providing you with superior service by incorporating technology into our business. During the remodeling process we saved over 40 cabinets from the existing building. Rather than send them to the landfill, we used them in various areas of the hospital. We are also committed to recycling, as well as reducing waste. We opted for hearty, drought-resistant plants in our landscaping in an effort to conserve resources. We are proud to be located in such a wonderful, thriving community. We look forward to meeting you and your cat(s)!